BOYO is another WordPress theme by BlogOnYourOwn.com. 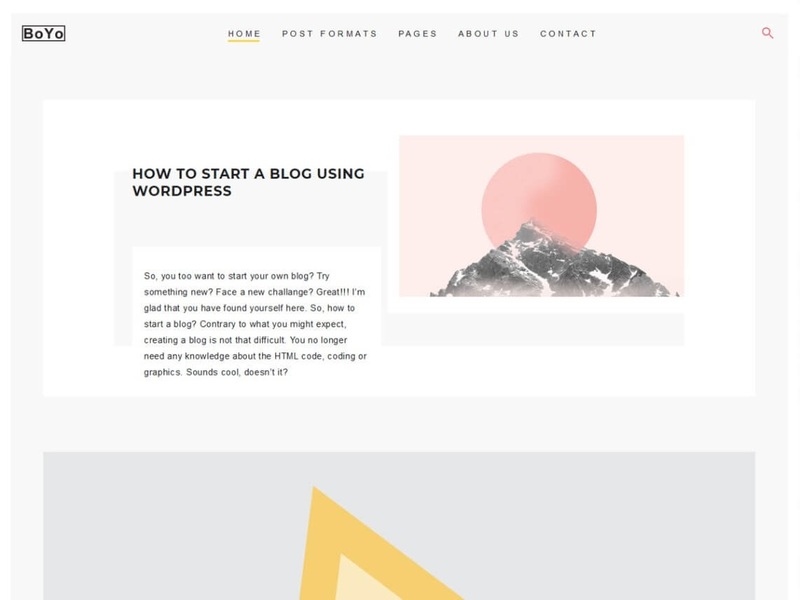 Clear, readable, fully adapted to be a blog template. Minimalist and clean style makes your content and photos look beautiful. Light, fast and SEO optimized. Try the BOYO theme and enjoy its beauty.